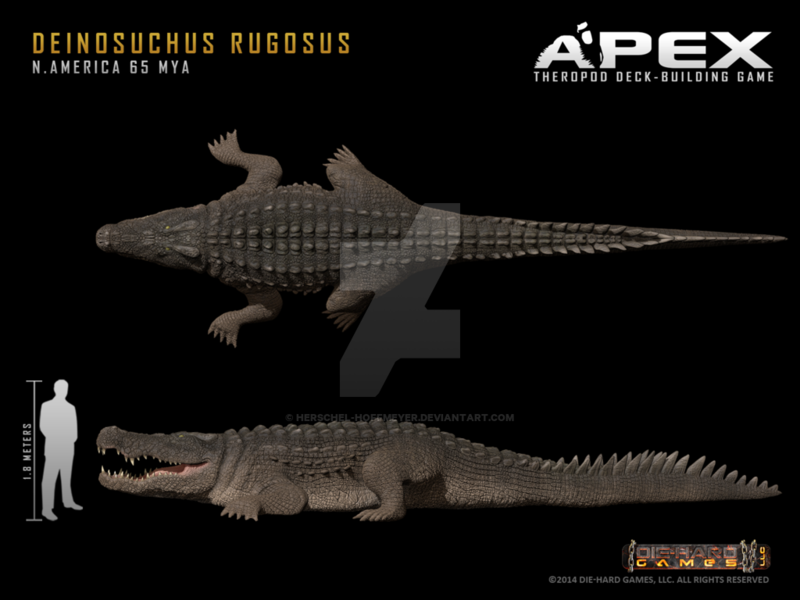 Deinosuchus was a prehistoric crocodile which lived approximately 80 to 70 million years ago during the Late Cretaceous Period. Its fossils – which originally consisted of just two large teeth – was first discovered in the mid-19th century by a geologist named Ebenezer Emmons. 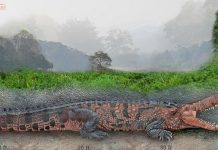 When he discovered them he placed them in the same category as Polyptychodon – a dinosaur species he thought was a species of crocodile-like reptiles. 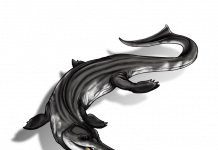 However, as more fossils were unearthed, it became clear that Polyptychodon was actually a pliosaur, so Deinosuchus was placed into its own genus in 1909. It was then given its own name, a name which means “terrible crocodile” in Greek. 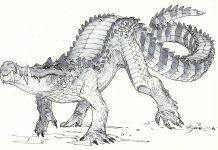 If you looked closely at Deinosuchus pictures, then you would most likely agree with the name “terrible crocodile” because it was indeed one. 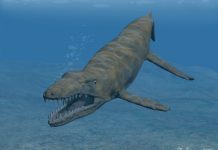 It was approximately 33 feet long – or about twice the size of a saltwater crocodile, and weighed around 10 tons – or 20,000 pounds! It also had a very large head that was about 6 feet long and filled with many razor-sharp teeth. It would have been a terrible crocodile for any of its prey to run across and that’s for sure. 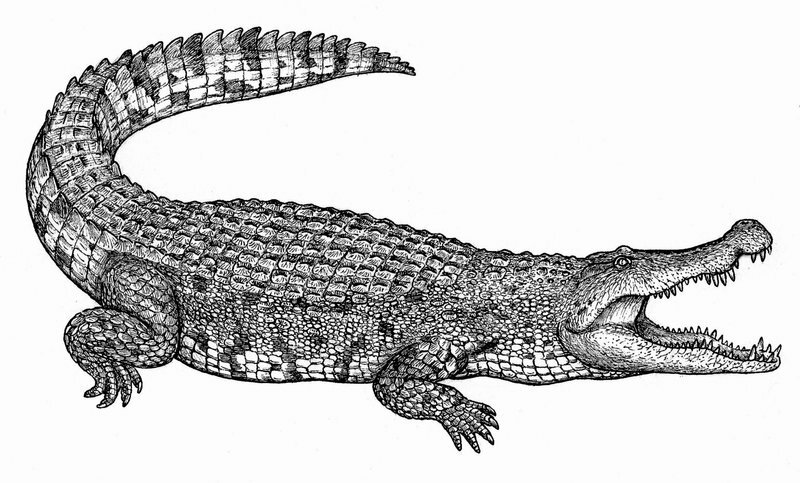 Of course, paleontologists really can’t tell how large these crocodiles grew. That’s because they continued to grow their entire life – much like modern crocodiles do. In fact, they would have grown about a foot a year during their lifetimes. 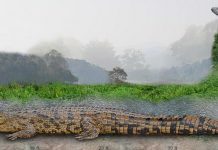 Which means that it is quite possible they grew even larger than 33 feet, especially if they lived as long as a modern saltwater crocodile – which is about 70 years. One of the most interesting facts about Deinosuchus is that it was thought to have been the largest crocodile to have ever lived for quite some time. At least, it was until Sarcosuchus came along – a crocodile that was 50 feet long and weighed 15 tons. 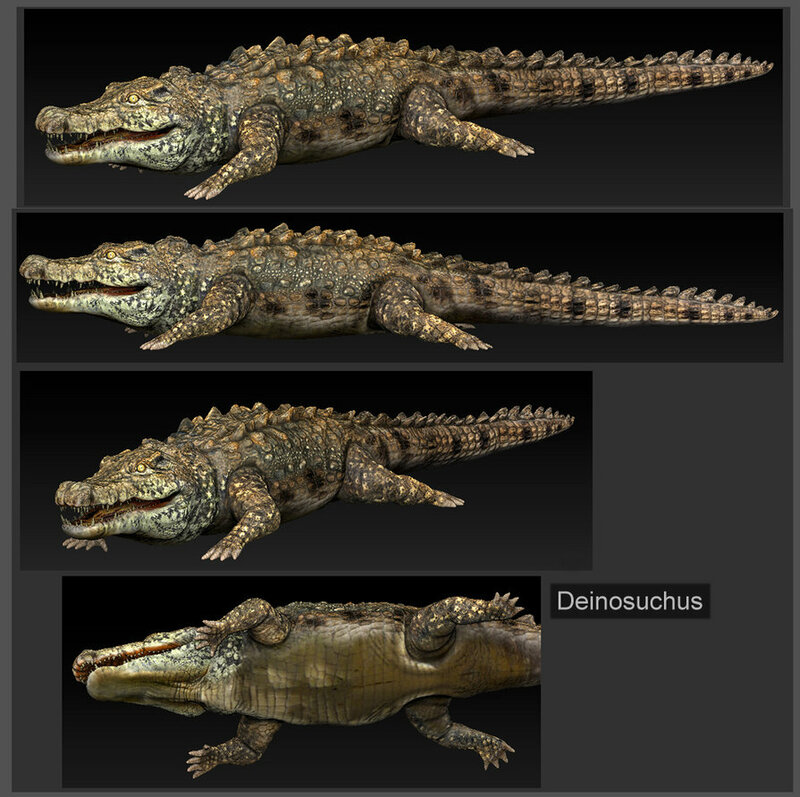 After that discovery, Deinosuchus came in second place as the next largest crocodile. Being so large, Deinosuchus probably could have had its pick at what it wanted to eat. Most likely, it would have lived off of shellfish and fish that it found in the water, dead animals that it could have scavenged and maybe even land animals. It is also quite possible that this prehistoric crocodile may have eaten the occasional dinosaur every now and then.